As a general perception when we talk about Ranking and results, the only thing that is recalled is “First”. It has become so important that will all want to get associated with the first rank or the first position. This scenario is seen everywhere, and when it comes to website ranking then the matter is counted of utmost importance. With online marketing and competition becoming stiff and it is becoming difficult to survive, getting your website on the first position in Google search engine rankings in this scenario is one of the most difficult achievement for any business. For businesses that are looking forward to enhancing their website ranking, it is the right time that they approach SEO agencies Melbourne. It is all about providing what the search engine is looking for. Getting your business in the topmost position is all about structuring your website the way they are required. Search engines work in a specific way. The crawlers are sent to the websites to find out the most relevant answer to the query asked online. Hence, it is important to ensure that site is optimized the way it is required. A well designed and a user-friendly site is considered as one of the biggest factors in search engine ranking. A well-structured website design would rank higher than a normal site. Hence, it becomes important that you look for a company that can design a website keeping all the factors in mind. Keywords play an important role as the search revolves around them. Hence, it is considered as one of the most important requirements for any website. While using these keywords one has to follow all the set rules pertaining to their use. If the rules are not adhered to then your website might get penalized, resulting in lower ranking. Meta content is the summary of your website. Hence, Meta content linked to your webpage will describe your page and helps the visitor to understand whether they will get the desired result or not. 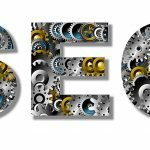 Choose the best SEO agencies Melbourne, if you want to optimize your site ranking in search engine. The company should have expertise in the field of SEO with experience of handling difficult situations pertaining to SEO rankings. Platinum SEO services are the company with vast experience in handling big SEO projects.